COS provide a total office management service for your company, combining design, supply and ordering for all of your furniture and stationery needs. Starting from our total office design service, we can then supply and fit all fixtures and furnishings for your office. We take care of all of your ongoing furniture and stationery needs, and we even offer stock control services so you can be sure your stationery cupboard will never run short on the essentials! 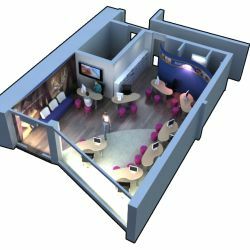 Our full office design service, including CAD, virtualisation & planning, to make sure you have the perfect office environment to maximise efficiency and give your staff the best workspace available. We can supply and fit all furniture and fixtures that are needed for your brand new office. We also take care of all of your general furniture supply needs using our By Royal Appointment supply company, guaranteeing you quality and the very best prices available. We also take care of all of the stationery needs for your company; from pens and pencils to tea and coffee. Unbeatable contract prices on all of your regular core products, and a large range of branded and compatible laser toners and ink cartridges at up to 85% off regular branded prices! 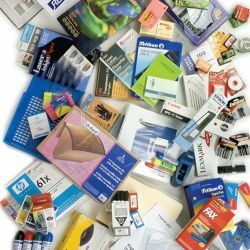 To cap everything off, we also offer a full stock control service to give you peace of mind, and to ensure that you never run out of essential office supplies. With our integrated SMART systems, we’ll be able to keep track of what you are using and ensure that your stationery always arrives on time! COS Office Supplies are your single source for supply and management for all of your office furniture and stationery. We offer a full range of branded stationery and furniture, along with over 1600 quality own-brand products which average between 65% and 85% savings on regular branded products. 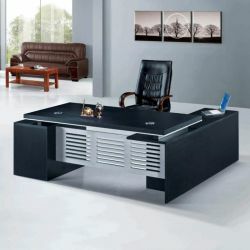 Not only do we take care of your stationery supplies; we also have a wide range of furniture sourced directly from UK manufacturers; from desks to boardroom tables, chairs to specialist seating, we supply a wide range of companies from small to large corporate businesses, colleges and Universities. This is all backed up with our full installation service and planning team. Branded items typical 40% discount, own brands can be up to 85% off!